Getting to Timor-Leste by air is easy, with international flights from Denpasar (Bali), Darwin (Australia) and Singapore. Dili is just over an hour away from Darwin by plane. 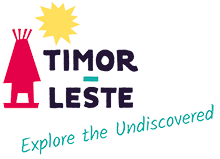 On arrival at Presidente Nicolau Lobato International Airport, a Timor-Leste Tourist and Business Visas (USD30 for 30 days) is granted to holders of valid passports. (Note: Portuguese are visa exempt when travelling for tourism). Dili is a 10 minute drive from the airport. To get into the city prearrange a transfer with your accommodation, book the 24-hour Flybus airport shuttle (USD10 per person; Tel +670 7750 8585) or organise a taxi (around USD10). (Note: With yellow taxis do negotiate fares prior to commencing your trip). Journeying over land between West Timor and Timor-Leste, there are daily air conditioned minibus services linking the capitals of Kupang and Dili via the border crossing near Batugade. It is an arduous 12 hour trip through beautiful rolling hill country and along the scenic coastline west of Dili. All nationalities, with exception of Portuguese and Indonesians, must obtain a Visa Application Authorization before arriving at the land border post. Apply in person at a Timor-Leste Embassy or Consulate (there is one in Denpasar +62 3 6123 5093 and Kupang, Tel +62 813 3936 7558) or online at the Ministry of Immigration website (allowing around 10 working days to receive a printable authorization). Then present this document and the USD30 fee to Immigration at the border crossing.